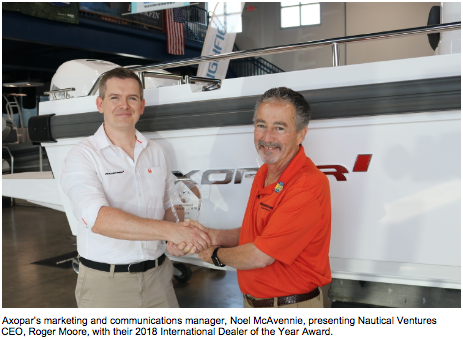 Dania Beach, FL November, 2018 – For the second year in a row, Nautical Ventures has received The Best International Dealer Award from Axopar Boats during their recent International Dealer Meeting. 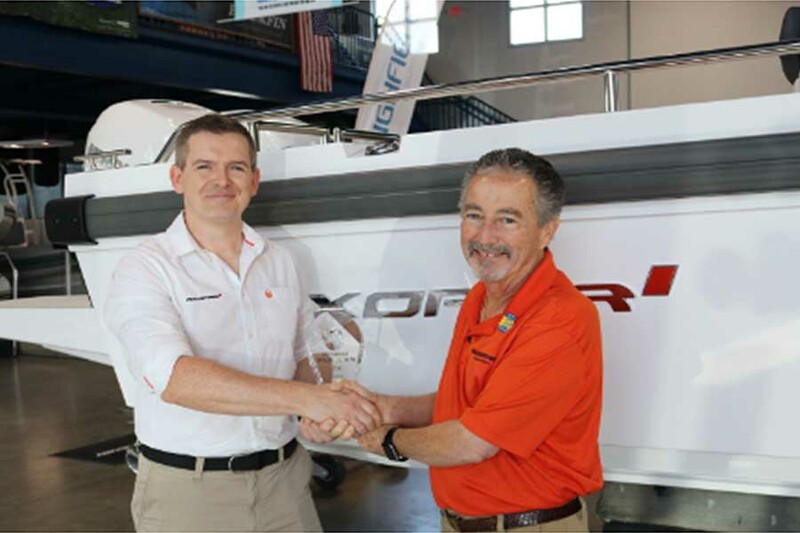 On October 24, 2018, Helsinki based Axopar Boats hosted over 75 dealers from around the world in Palma de Majorca, and recognized Nautical Ventures as a model dealership for sales, service and customer satisfaction. Axopar Boats is a European phenom and the fastest growing boat brand in Europe. They build 3-models from 24’ to 37’ in several deck configurations and most recently introduced a BRABUS limited edition.